Epiphany Law, LLC appreciates the value of education and understands the ever increasing costs of obtaining one can be difficult. 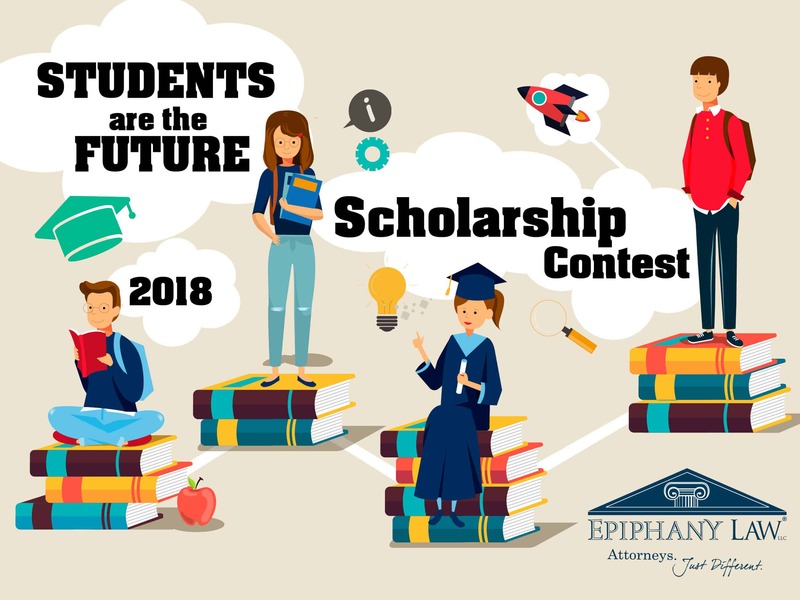 The Epiphany Law scholarship of $1000 is designed to lessen some of the financial pressure on students wishing to further their education at the college and university level. To qualify for the Epiphany Law Scholarship you must be an aspiring or current U.S. college student, a Wisconsin resident, and must participate in our infographic competition on the legal topic outlined below. Once a child turns 18, parents no longer have the legal right to make financial or medical decisions for their child. Yet, according to research, 78% of millennials (those aged 18-36) do not have any estate planning documents in place*. Please provide an infographic that will help the public understand the need for all people to have critical legal documents in place. An infographic is a graphic visual image of information, data or knowledge intended to present information quickly and clearly.To create your infographic, you can use any infographic platform.